Breath-taking natural beauty...the Bemidji community surrounds Lake Bemidji and boasts over 400 crystal clear fishing lakes in the region. There is over 440,000 acres of forest in Beltrami County alone, ensuring the alluring charm of the True North will live on. A thriving regional center of over 100,000 residents. With innovative manufacturers, aspiring entrepreneurs and growing retail and services sector, the greater Bemidji region serves as the center for economic development for all of northern Minnesota. In Bemidji, we are one community in the truest sense of the word. 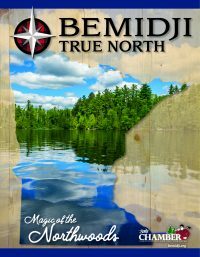 We invite you to discover your True North in Bemidji. You will find we truly are the start of the north.